If ever an antidote was needed for a blustery November evening, this was it. The BBC Scottish Symphony Orchestra and their Associate Guest Conductor John Wilson began with a sprightly overture – that written by Donizetti for his opera Don Pasquale, complete with romantic solo from cellist Rudi de Groote. We then heard Puccini’s impressive student piece Capriccio sinfonico, where the orchestra dug in to its substantial outlines and memorable triple-time dance theme. These two pieces served as effective preludes to the main action in this all-Italian concert – Respighi’s triptych of symphonic poems inspired by the centre of his life, Rome. All too often Respighi is held up as a brilliant orchestrator lacking in musical craft, but these performances under John Wilson utterly refuted those claims. This is music of wonderful colour and texture, certainly, but there are great melodies too, scored in such a way that future composers – among them surely John Williams and Jerry Goldsmith – would surely have fallen under the Italian’s spell. Respighi himself knew how to use his influences for good. Stravinsky looms large, as do Debussy and Ravel – but nobody else could have written the gladiatorial opening to Roman Festivals, its fire and brimstone blowing the cobwebs away from all corners of City Halls. The BBC Scottish brass were brilliant here, with Simon Johnson’s blowsy trombone solo in Epiphany and the off-stage trumpets in Circuses both highlights. Jubilee, the second movement of the four, painted vividly the downtrodden pilgrims on the highway, rising up as they glimpsed the Holy City in a shower of glistening colour. The duet between lead violin and cello in The October Festival (Laura Samuel and de Groote again) was a beauty, while the finale built on its influences from Stravinsky’s Petrushka with music of athleticism and raw power, where pianists Lynda Cochrane and Julia Lynch also deserve a mention, their virtuosity underpinning the sound. Fountains Of Rome was next, sensibly placed to provide a more restrained complement to the bombastic first poem. Here the wonder lay in four beautiful depictions of water, first heard undulating through The Fountain of Valle Giulia at dawn. The Triton Fountain at mid-morning was a thrilling scherzo in this performance, while the organ (Michael Bawtree) added extra colour and splendour to The Trevi Fountain at midday. Finally the magical, twinkling image of The Fountain of the Villa Medici showed off the slightly smaller orchestra in all its glory, the strings on top form with the notably tricky figures. Pines of Rome is the most celebrated of the triptych, and though well known its emotional impact here was considerable. The busy, blustery Pines of the Villa Borghese set a colourful scene, but Wilson paced the Pines near a catacomb to perfection, shaping the apex of the Gregorian chant to spine-tingling effect, helped once again by the brilliant BBC Scottish brass section. Clarinetist Yann Ghiro provided a solo of exceptional control during The Pines of the Janiculum Hill, where we heard the nightingale from afar – an innovative and controversial role for the gramophone in 1924, and even now making unsuspecting audience members sit up in surprise. Yet the whole evening was still to reach its apex, The Pines of the Via Appia, with what was quite simply the loudest orchestral playing I have ever heard. This was Respighi turned up to eleven, and when it shouldn’t have been possible for the music to get any louder or bigger it just kept going. John Wilson ensured this was always a controlled ascent and never vulgar, so as the hairs stood up on the neck once again his orchestra reached a tumultuous finish, capping a wonderful evening of music. Now that’s what I call a concert! For non-UK listeners, this Spotify playlist is available. Russian composers took frequent inspiration from the works of Shakespeare, especially Tchaikovsky and Prokofiev, responsible for arguably the two most famous interpretations of Romeo and Juliet. 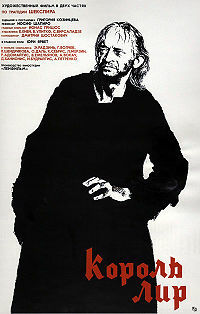 Shostakovich wrote a mass of film and ballet scores, but only encountered The Bard twice – once in Hamlet and twice in the darkly scored King Lear – for the stage in 1940 and then in 1971 for Grigori Kozintsev’s film. Musorgsky wrote Songs and Dances of Death, his last and most popular song cycle* for voice, between 1875 and 1877, but he did not live to be old enough to orchestrate the four songs. The collection was orchestrated initially by Glazunov and Rimsky-Korsakov, who worked together in making a number of the composer’s scores fit for orchestral purpose. Shostakovich himself arranged a version in 1962, but here the conductor Ilan Volkov opts to use a ‘cleaner and simpler’ version by Edison Denisov from 1982. As to the texts, they are each a nail in the coffin – but Lullaby, Serenade, Trepak and The Field Marshal do on occasion have slightly lighter moments, the rich timbre of the Russian bass is offset by gallows humour from the accompaniment. The texts are difficult – a mother’s last vigil over an infant in Lullaby, with death standing at the door, then the story of a terrible courtship in Serenade, an apparition in a forest for Trepak and finally, famously, The Field Marshal, who surveys his dead soldiers as though in victory. Glazunov is often looked down on by people outside of the history of Russian music, regarded as an inferior composer to those around him such as Rachmaninov or his teacher Rimsky-Korsakov. Yet he had a big part to play in the country’s musical history and was hugely admired by Shostakovich and Prokofiev if not Stravinsky. As well as teaching and conducting he wrote nine symphonies, ballets, concertos and a number of orchestral pieces – The Seasons among them. As Ilan Volkov says in a brief interview before the performance here, Glazunov is in effect a bridge between Tchaikovsky and Stravinsky where ballet is concerned. As you will hear from this work, there is rarely anything less than a hummable tune! Glazunov opts to begin with the Spirit of Winter, expressed through dance variations for Frost, Ice, Hail and Snow that have orchestral touches similar to those used by Tchaikovsky in The Nutcracker. The music gets warmer as Spring arrives, then positively bathes in the Summer sunshine, before the big tune of the whole evening is revealed at the onset of Autumn. Not for Glazunov the bleakness of the trees stripped bare – rather he prefers to celebrate the leaves whirling around his head! 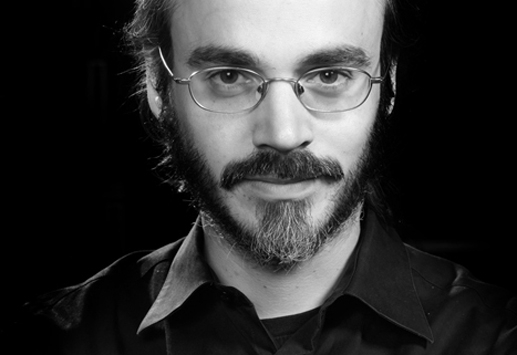 A really well thought out program from the typically enterprising Ilan Volkov, leading his BBC Scottish Symphony Orchestra charges in a powerful concert. The Shostakovich is dark and rather foreboding, and although lacks the intensity of the composer’s symphonies it still carries some of his distinctive musical fingerprints, which the woodwind in particular find. Yuri Vorobiev gives a thoroughly authentic performance of the Musorgsky, and even listening on the radio you can catch a glint in the eye at times. The reduced orchestration of Denisov helps with clarity when placing the words. The Seasons is a warm-hearted performance, with charm aplenty from the orchestra. The woodwind sparkle, with excellent contributions from flute (winter) and oboe, while the strings have a really nice bounce to their rhythms. The rustic Autumn Bacchanal is a winner! 14:47 – The start of the storm. A curiously slow storm, this does nonetheless have staying power. 28:05 – The Serenade, and the “magical, tender night!” has a silvery sheen in Denisov’s orchestration. There is a terrible stroke of death right at the end from the orchestra. 31:58 – The dance of Trepak is a rather grotesque affair, Vorobiev taking the lead even as the forest closes in through swirling woodwind and strings. 36:12 – a triumphant start to The Field Marshal, with strings swirling and trumpets blazing in the heat of battle. A thrilling and ultimately uplifting end, the singer defiant even in death. 1:05:22 – the cold winter casts its frozen spell, but with elaborate flourishes from the orchestra less than two minutes in Glazunov quickly sets out his stall for a colourful piece. 1:21:07 – a sweeping violin melody that sees the culmination of Spring. 1:22:35 – The lovely Waltz of Corn Flowers and Poppies, music that brings summer in with a real swing – though Volkov is very subtle in this performance, the poise of the waltz reminding me of the Strausses. 1:26:36 – the Variation within Summer, complete with burbling clarinet. 1:31:58 – probably the most famous tune heard within The Seasons. This is the soaring Bacchanal, the dance that opens Autumn. The accompaniment effectively describes the leaves swirling around! 1:39:55 – the bracing final section, The Satyr. For more Glazunov, the Violin Concerto is heartily recommended, a single movement piece lasting 20 minutes that packs in thrills and spills with plenty more good tunes. This website is already exploring a fair bit of Musorgsky, having talked about Pictures at an Exhibition earlier in the week. For even more I would take a deep breath and explore the incredible epic opera Khovantschina, one of the great cornerstones of Russian opera. For Shostakovich there is plenty more to hear, but keeping in with his works for stage and screen, I would suggest the ballet The Age of Gold, a story about football! *song cycle – as the name suggests, a group of songs written by a composer tending to focus on a specific theme or author.